The Sad Lisa Music Box is a gorgeous music box from the Italian manufacturer Ercolano. 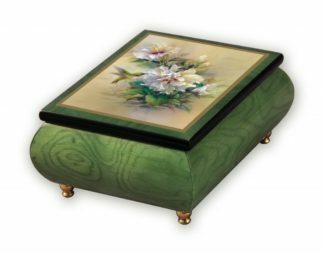 Ancient traditions still live in the construction of this unique wooden music box of high quality. he inner trim of this music box is framed in the form of a solid wooden structure and covered mahogany from the base. The Sad Lisa Music Box is a gorgeous music box from the Italian manufacturer Ercolano. Ancient traditions still live in the construction of this unique wooden music box of high quality. Ten to fifteen production technologies used by Italian masters that do all the work manually, like in the old days. 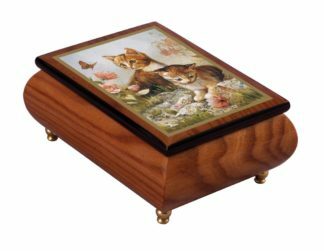 The inner trim of this music box is framed in the form of a solid wooden structure and covered mahogany from the base. The construction of this box applies several treatment processes by careful grinding, honing and varnishing prior to applying the image on the box cover. 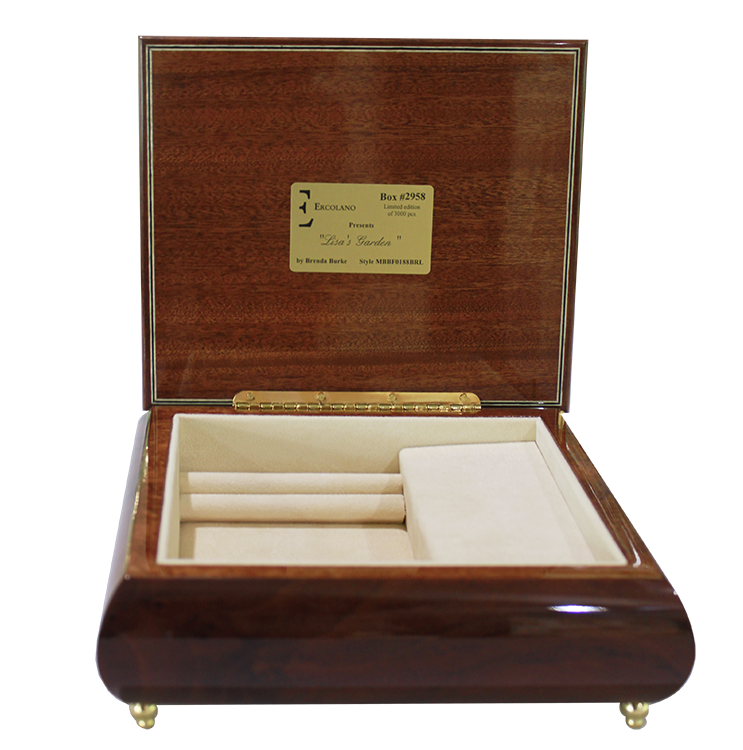 The box is lined with plush velvet and the gold-plated parts are covered with a special lacquer from oxidation. In addition, the entire box is exposed to a complex three-stage treatment process that guarantees its eternal wholeness. 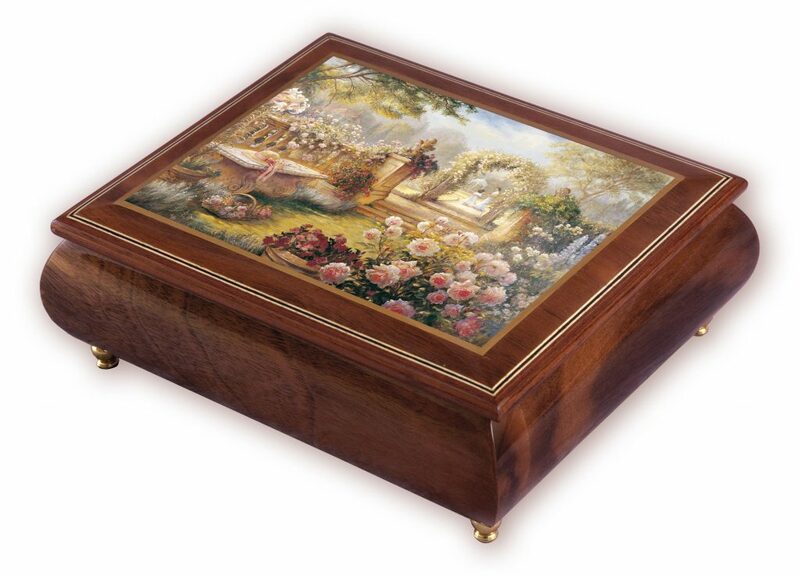 This boxes is decorated with a reproduction of a painting by famous British artist Brenda Burke called “Sad Lisa”. The artist Brenda Burke was born and raised London, England, in the later years moved into America. She paints portraits of beautiful flowers and quiet moments of sunshine in exquisite gardens. This magical scene is filled with birds and flowers gardens reminiscent of the artist, those who created her mother when she lived in London. The perfect complement to the sophisticated design is the melody “Für Elise” Ludvik van Beethoven. Music playback features high quality sound and reliable mechanism, which is triggered each time you open the lid. 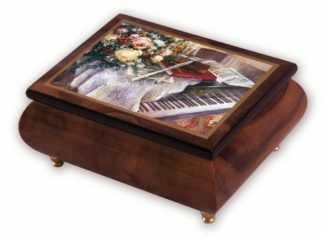 Would you like to see this music box in person? Give us a call at (480) 951-8994 and we can present it to you in our show room!